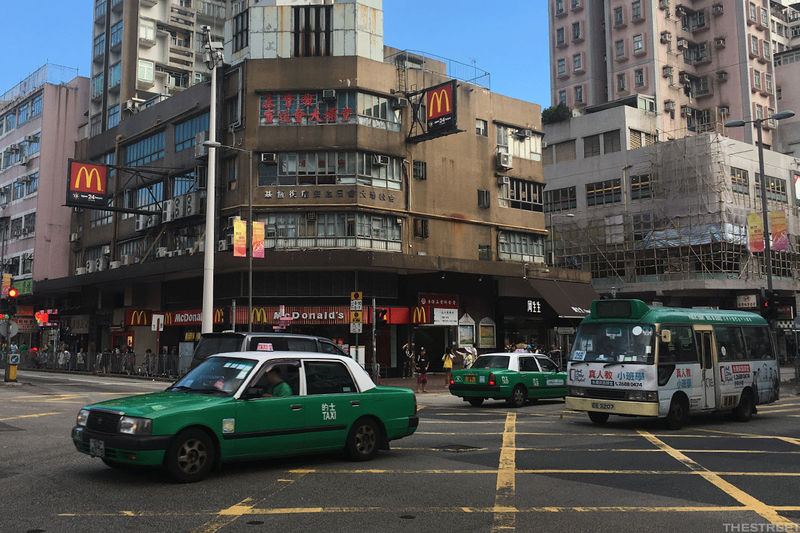 McDonald's in Hong Kong is half a world away from the chain's origins -- both literally and in terms of the sights, sounds and tastes. 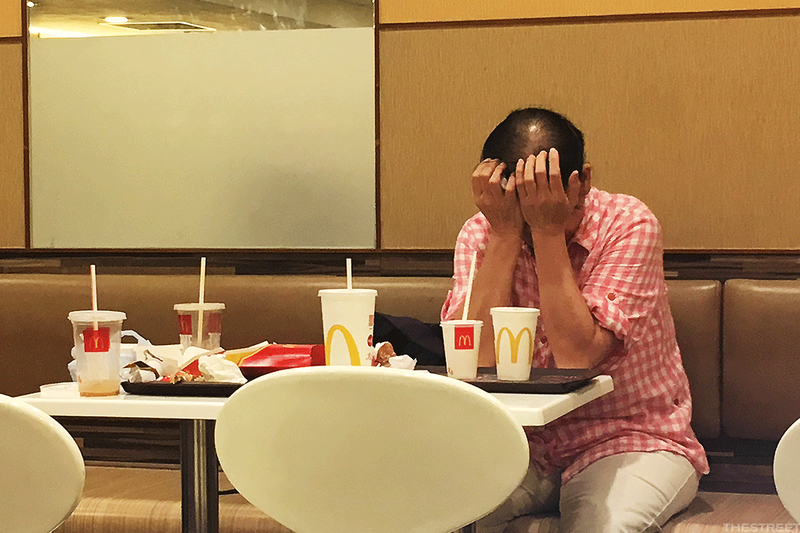 Fresh off of McDonald's impressive third quarter, let's talk Mickey D's in Hong Kong. I passed a metal pail full of "hell money" burning in the street of the Tai Po Market area recently on the way to check out how my local McDonald's (MCD - Get Report) in Hong Kong stacks up with what you'd find at a U.S. one. The hungry ghosts were apparently getting fed before I did. The oddities on the menu include soy milk, honey-pear tea and the British berry drink Ribena on the drinks list. 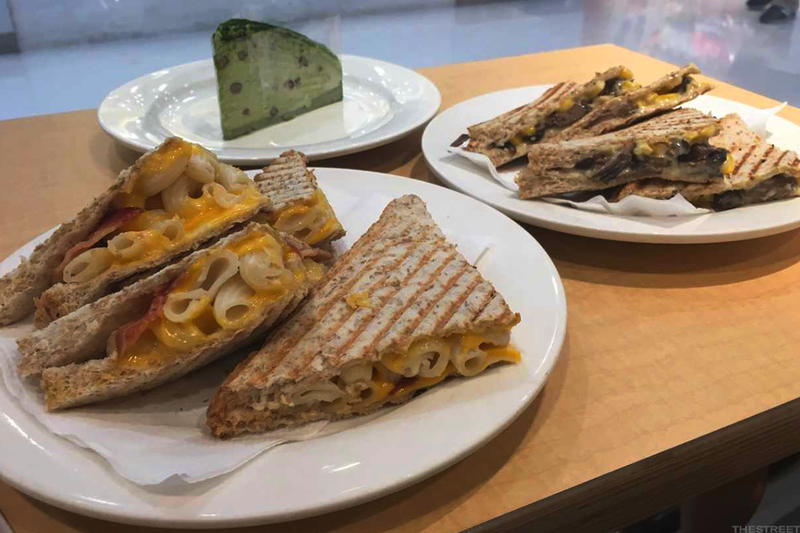 Sweet-corn pie, sweet-corn cup and spicy Thai chicken wings are also on the menu, and sometimes you'll find taro in place of apples in the dessert pies. There are also four breakfast dishes with macaroni (McDonald's calls it "twisty pasta") mixed into a thin soup. You get your pick of veggies-n-egg, sausage-n-egg, ham-n-egg or grilled chicken on top. Click here to see what else the menu includes. However, a Hong Kong McDonald's menu contains perhaps the least of the surprises that Americans will find here. What's more surprising are the social trends that drive the people who populate these restaurants. For openers, McDonald's Hong Kong restaurants are normally crammed; at one point, the city hosted seven of the chain's 10 busiest stores worldwide. 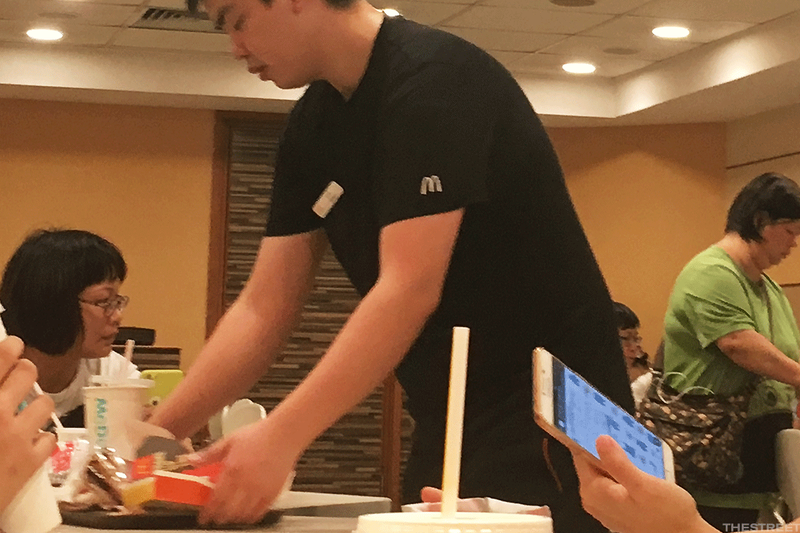 A Hong Kong McDonald's has staffers to take away your tray and trash for you. By contrast, Hong Kong has some of the most expensive retail space on the planet, so many fast-food restaurants have small entries at street level that lead to upstairs eateries. In the case of the store I visited, there was a ground-level counter for ordering (with a fast-serve window on the street for ice-cream cones), plus a basement below with tables and seating. 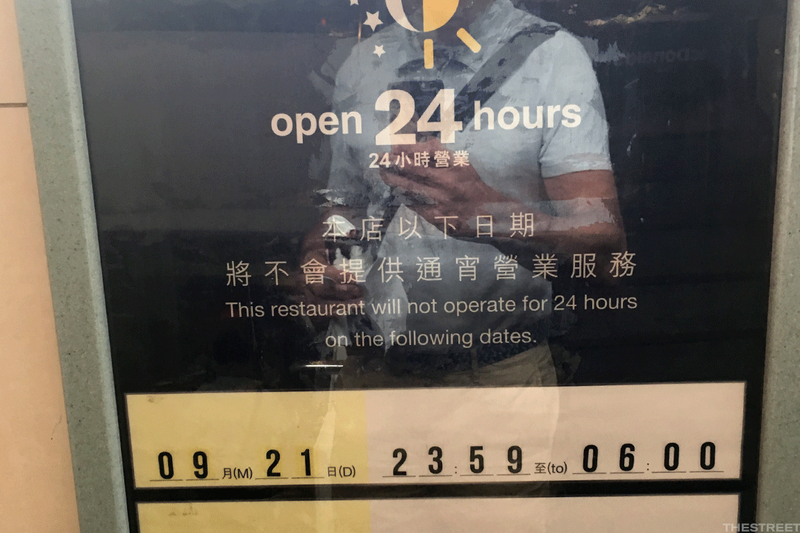 Many McDonald's restaurants in Hong Kong operate 24 hours a day. 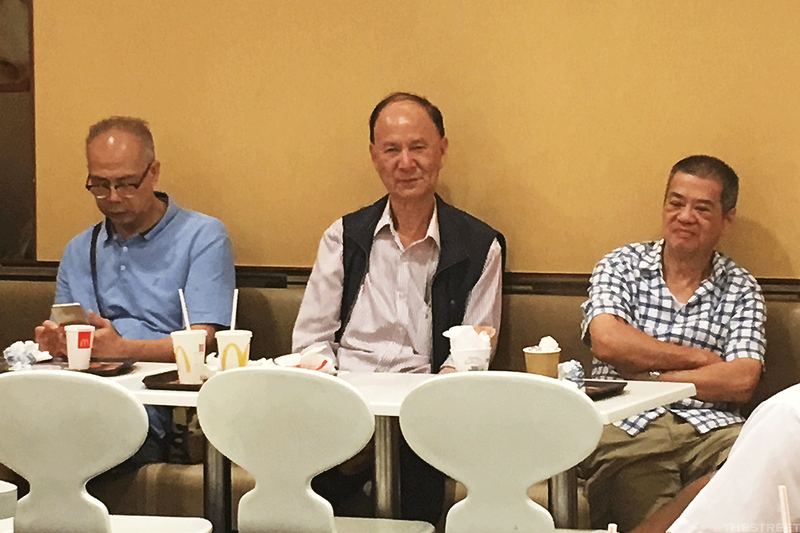 Elderly Hong Kong residents often hang out at McDonald's. But given the sad state of the city's social affairs, it's not uncommon for homeless people to sit themselves down and bed in for the night in a 24-hour store. Although the city's public housing is excellent (and hosts around half of the population), Hong Kong's social services are poor. Some proud elderly people also turn down their government grants because they don't want to draw on the state. There's also darker side to the city's midnight McDonald's dwellers. Mental health is a particular problem in Hong Kong, with only a few hundred psychiatrists and clinical psychologists serving a city of 7.3 million. The topic is also taboo in traditional Chinese society. So, Hong Kongers with mental-health conditions often get no treatment and sometimes find themselves on the street. Other homeless people say they prefer to live in parks or underpasses than live in high-rise towers where no one would notice when they die. The woman later moved slowly off after her rest, replaced by a counterpart of the same age (but not as tired) who sat for 20-odd minutes as she tended an order of fries before shuffling heavily up the stairs. She was replaced by a well-dressed woman in her late 60s carrying two large handbags, who left her order of a small juice completely untouched while she messaged incessantly on her smartphone. Small orders, lots of downtime. To my left, two high-school girls in Hong Kong's ubiquitous blue-shift uniforms sat speaking Mandarin -- a sure sign that their families are new immigrants to the city. First, they tackled their homework, then they got going on their smartphones. To witness schoolgirls talking Mandarin was previously unheard of in this Cantonese-speaking city. In fact, there's great tension as Hong Kong slowly becomes just another Chinese city. 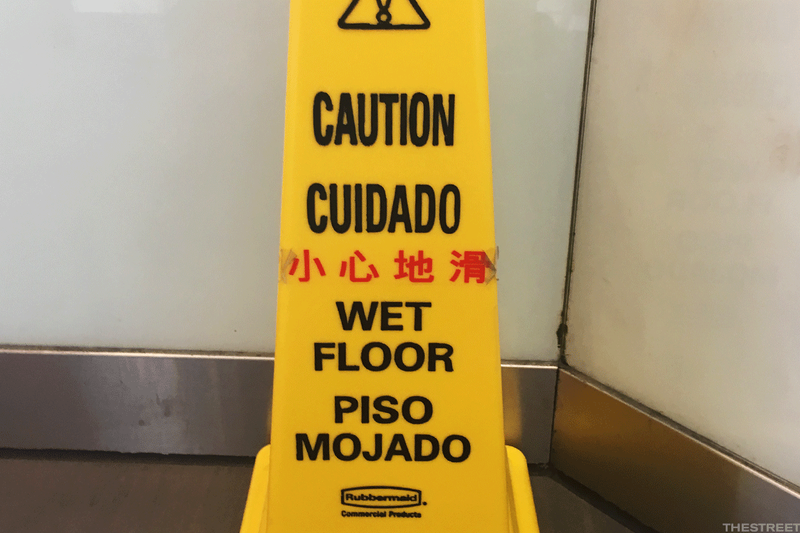 Cantonese still dominated in the McDonald's I visited, but Mandarin voices were surprisingly common. 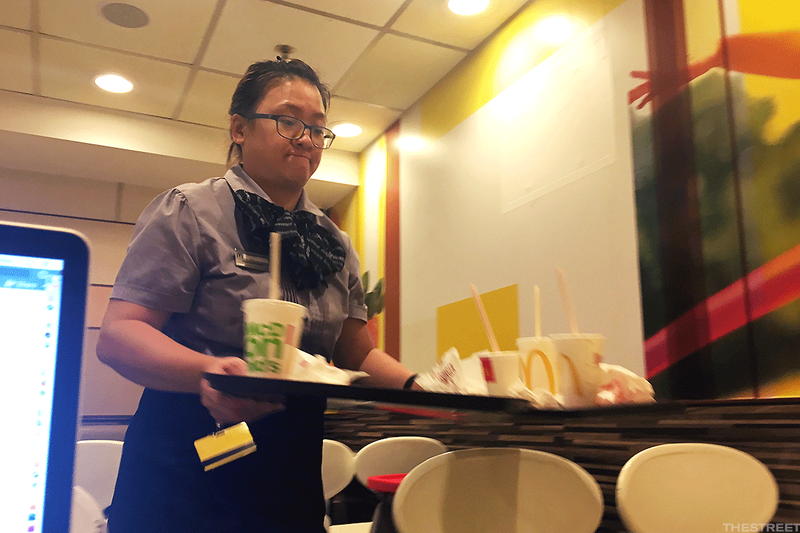 A Hong Kong McDonald's generates lots of trash for a city that has few landfills.